...find out more about the feasibility study that Sneinton Alchemy recently completed... into potential futures for Sneinton's best kept secret! The TRACs neighbourhood centre on Hermitage Square has been serving the community for many years but has recently faced an uphill struggle to keep the roof on and the lights burning! The study has inspired some positive changes at TRACs and lots of great ideas for the future. 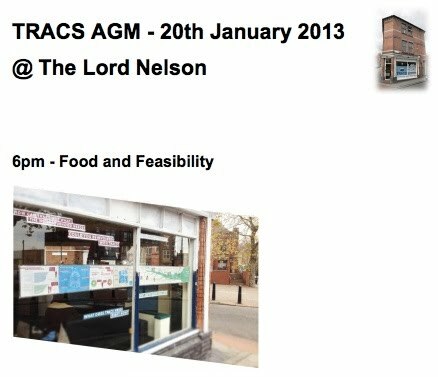 The Annual General Meeting at the Lord Nelson pub on Lord Nelson Street, Sneinton, is a great way to find out more and get involved in this exciting project. changes at TRACS, hopes and plans for a sustainable future. the findings of the recent feasibility study into TRACS’ future. Old committee stands down, new committee is elected.